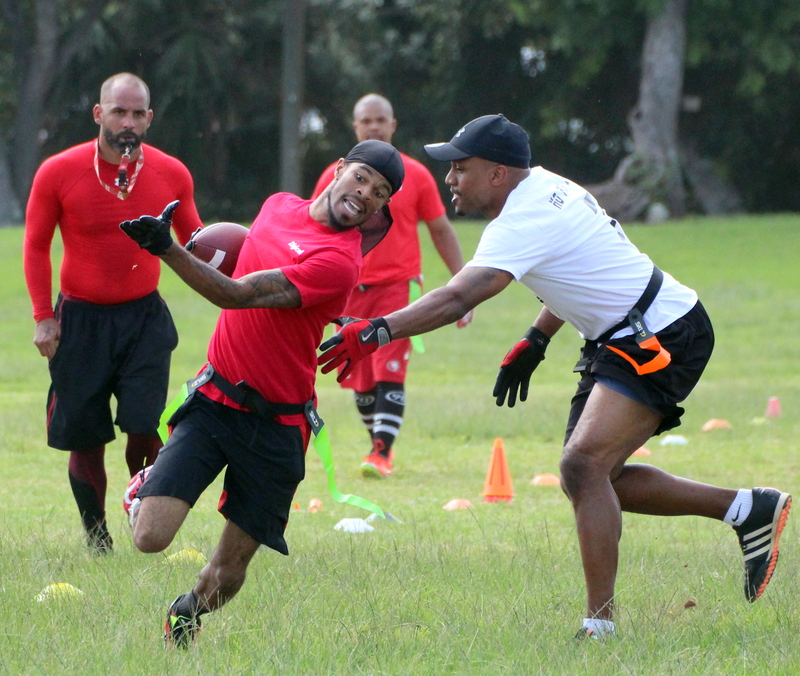 The Bermuda Flag Football League (BFFL) Winter League Season resumed with yet another Triple Header on the T.N. Tatem Middle School Field. In some cool conditions a total of 153 points was put on the board in the combined games. The opener saw the Black Shark$ defeat the Punisher 31 – 26, and then the X-Patriots defeated the Beer-muda Misfits 40 – 6 and in an entertaining final match Nothin But D edged the Kill a Squad 26 – 24.